I’ve had a love affair with sugar for many years. Ten years ago, I had some health problems and my physician told me to cut sugar, dairy and wheat out of my diet. I got in my car and cried all the way home. Sugar was the tough one for me to dump. I was so addicted to it, that as soon as I knew I couldn’t have it, it’s all I wanted! It took a few weeks and a lot of grumpiness, but I finally cut most of the sugar out of my diet. In the last 10 years, I’ve allowed it to slowly creep back in. My health problems improved, so I gave myself the green light to eat sugar. 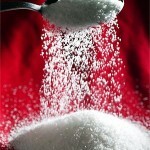 That all changed when I read a study about excess sugar in your diet causing wrinkles! Collagen and elastin are proteins that keep your skin looking youthful and firm. 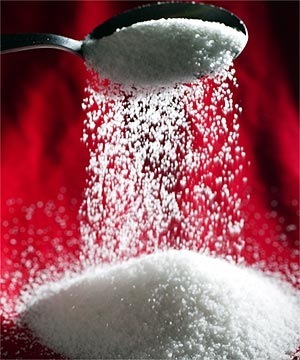 Excess sugar will attach to your collagen and elastin, making it brittle and dry, which leads to sagging and wrinkles. Diabetics are really hit hard, especially if they go years with undetected high sugar levels. Today’s tip: The best way to get sugar out of your system is to start your day with a high protein breakfast. Consider adding an egg or a handful of nuts to your morning routine. After reading a few of your posts I seriously found this particular one to generally be excellent. I’ve a weblog also and would choose to repost a number of snips of your articles on my blog. Would it be alright if I use this so long I personal reference your blog or build a inbound link to your write-up I took the snip from? Otherwise I understand and would not do it without your authorization . I have book marked the posting to twitter as well as myspace accounts intended for reference. Anyway thank you either way! Thank you for your note. Feel free to use any info from my website as long as you reference it back to me. Take great care and thanks for reading my blog.